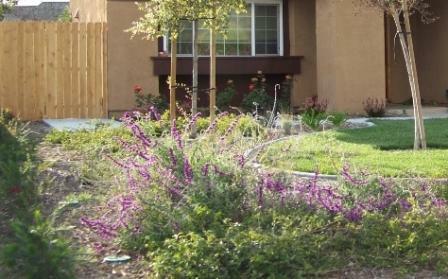 California Friendly Landscaping conserves water and reduces the energy required to pump and convey water from the source to the end user. Ontario’s environmental resources are an integral part of our maturing City and are valued for the benefits they provide. Appropriately managed, they reduce health risks for residents and workers, lower energy and water costs, safeguard our water assets, and protect our environment. The systems that convey and treat water and waste, generate and distribute energy, promote beneficial air quality, and protect natural resources are essential to Ontario’s health and prosperity. Ontario will manage resources comprehensively, utilizing natural and man-made systems that are both environmentally and economically sustainable. Meeting growth demands in Ontario, however, requires careful treatment of our land, water, air and energy—not as disposable goods but as essential commodities and capital assets. Defines the ethic to guide management of the City’s environmental resources. Establishes goals for Environmental Infrastructure. Establishes policies that support system integration, resource conservation and regeneration, and energy independence. Quality design of the physical environment includes vigilant stewardship of the City’s environmental resources. Efficient backbone infrastructure systems should be multifunctional, strategically sited, sustainably designed, and integrated into the urban fabric. Commitment to the development and maintenance of our environmental infrastructure ensures community prosperity. Environmental infrastructure is a critical public investment. High quality environmental resources are integral building blocks of the community. Ecosystems improve public health and contribute significantly to the City’s overall economic vitality. In order to protect our environmental resources, we must make wise decisions regarding the use of these resources. Protecting environmental resources is the responsibility of individuals, communities, the region and the world.